On June 25, 2008 the Poabs Group re-opened the estates which had been ailing for nearly a decade and were closed on the orders of the local Government since 2002. After taking over, Poabs reached a settlement on the wage dispute and effected the payments to the workers. Simultaneously, an enormous effort went into the rehabilitation of the estates – clearing weeds and getting the over-grown tea-bushes back into bearing. While each estate originally had factories attached to them, (read the account under Planting History published in 1914)the factories were in complete disrepair when Poabs took over, and general infrastructure including estate bungalows, roads, facilities for estate workers, etc., were in bad shape. By end-2009, tea harvesting had re-commenced on a regular basis, re-planting, in-filling and planting of shade trees was undertaken in phases. Initially, the leaf was sold to other factories for processing, while three factories were taken up for renovation.Currently, two factories are fully operational, and all tea harvested in our seven Travancore estates is processed on-site between the two factories. Pambanar Estate:The estate got its name from the river Pamba which originates in the estate. Leaf from this estate is processed at the Granby factory. A large tea nursery has been set up in 2011 to supply tea seedlings for the re-planting efforts across all the estates. Granby Estate: The factory at Granby was completely overhauled and a virtually new factory was inaugurated on May 25, 2010. 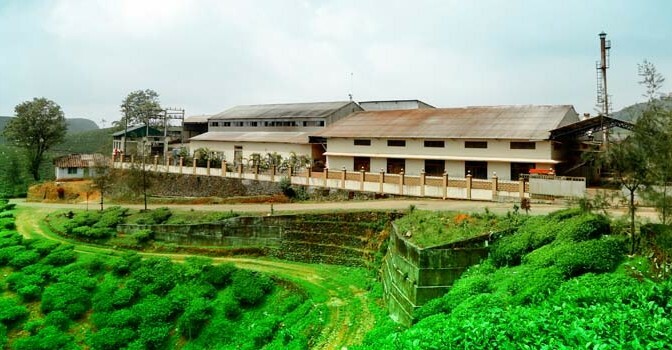 The latest equipment has been installed at this tea factory which produces CTC teas. Munjamullay Estate:Before being planted with tea, this area had an abundance of wild Manju. Manju in the Tamil language means turmeric, and so this name was given to this estate. Another interpretation is that Munjamullay means ‘misty mountain’ – in Malayalam ‘manju’ means mist and ‘mallay’ means mountain. Leaf from this estate is processed at the Granby factory. Nellikai Estate:Before it was converted to a tea plantation, there were a lot of gooseberry trees on the property. ‘Nellikai’ is the word for gooseberry in the local Malayalam language, hence the name. The factory at this estate had been taken up for renovation but unfortunately suffered damage owing to a fire incident in 2009. Efforts are on to rehabilitate this factory and make it operational once again. Thengakal Estate:The estate got its name because there were a lot of granite stones in the shape of coconuts in the Thengakal River. The factory at this Estate was again completely refurbished and made operational in 2012. This factory has orthodox and CTC machines along with a Tea Tasting facility. Notably, Poabs Estates is one of only two plantation companies in Central Travancore that maintains orthodox manufacture of tea. All other estates in the region now only process CTC teas. Injikadu Estate: Leaf from this estate is processed at the Thengakal factory. Pasumallay Estate:The area was a halting place for cattle taken from Tamil Nadu to Kerala and the name Leaf from this estate is processed at the Thengakal factory.